This is where the real adventure is! 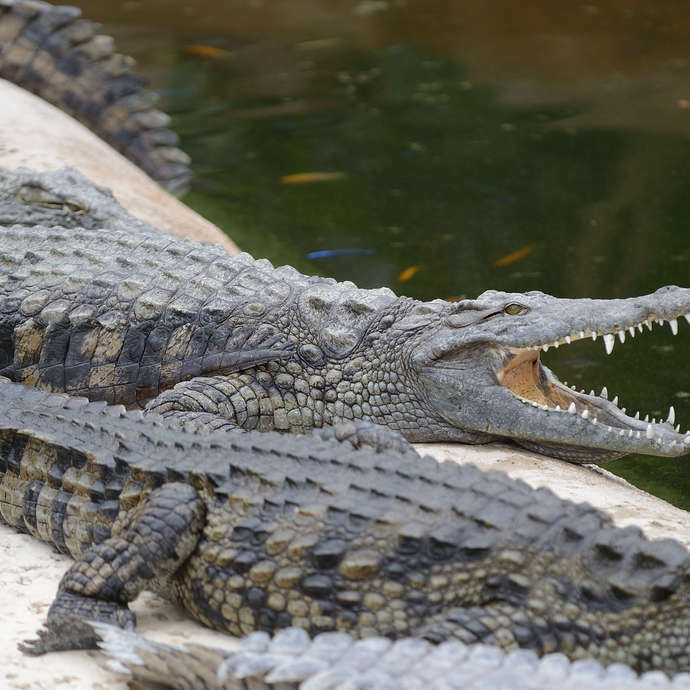 The “Planète Crocodiles” allows you to observe crocodilians and a variety of exotic plants in their natural habitat. During your visit, you will be able to be present at "wild encounters" such as crocodile feeding, and presentations of snakes and of chameleons and their skins; you will be able to meet the amazing pogona, and learn from botanists, etc. New for the summer season 2018: you can visit the “Planète des Crocodiles” in suspended nets installed safely above the crocodile ponds! But you mustn’t suffer from vertigo, and if you are not comfortable on these suspended nets, you will be able to rejoin the conventional tour during your visit.